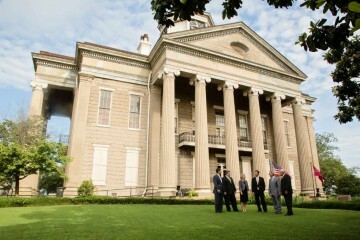 Teller, Hassell & Hopson, LLP is devoted to the community. The firm encourages its attorneys to participate in civic, professional and philanthropic activities. All members of the firm are actively involved in professional associations and maintain leadership positions in civic and community endeavors. Members of the firm have been active in, and in many instances have served as chair/president of such organizations as the Warren County Chamber of Commerce, the United Way of West Central Mississippi, the Rotary Club of Vicksburg, Warren County Habitat for Humanity, Vicksburg Kiwanis Club, Good Shepherd Community Center, Haven House Family Shelter, The Exchange Club of Vicksburg Child Abuse Prevention Center, Southern Heritage Cultural Center, and various local bank boards, schools, and churches.